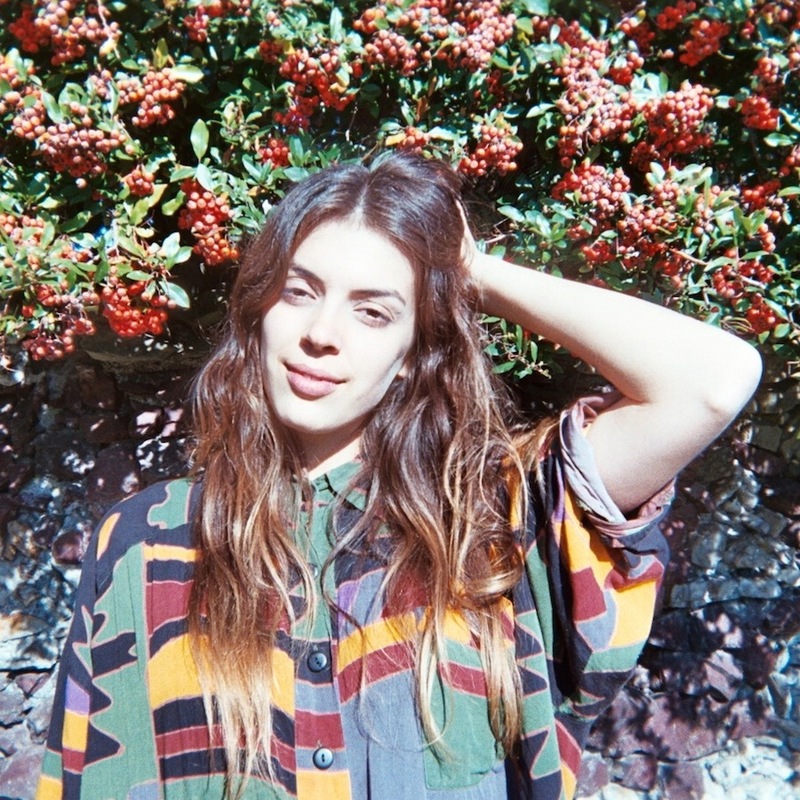 Julie Byrne’s deput LP, Rooms With Walls And Windows, a record delicately hinged almost solely to Byrne’s palpable voice and unfettered plucking, stirs with a sonic lushness that spills casually and unapologetically through her acoustical confines. It’s Byrne’s dynamic and staring solitude on top of her glancing whimsy, that creates a haunting folk all her own; one cannot listen it away. The album’s opener, “Wisdom Teeth Song” meanders with jet-lag ambivalence through pillowy hums, like paper on plucked drops of water, and tapestried strums distort and reach out and connect to one another, spilling onto pathways of musical narrative. Upon the album’s opening, Byrne’s presence is enchanting, but aloof. Not a moment later, the face-out discourse of “Young Wife,” in which Byrne’s careful friendship with her page-turned guitar strings beckons the listener, asks our hand to dance and leads Byrne’s mystery close. Her fingers cut small, staying sparks off the fire into the air, and our faces glow. The fire just builds from there, swaddling the listener in a neck-breathe blaze. In Byrne’s spare Rooms With Walls And Windows, she seemingly lingers in a vast world. Her ability to emit so much flame, given the simplicity of her songwriting tinder, astounds. “Attached To Us Like Butcher Paper” clings with a feverish desperation amidst Byrne’s delicately windblown affect. Byrne cries softly, “And we’ll have toast and warm fried egg, and the bad feelings will have all gone away.” And her voice cracks and tests the time. She conducts a moving vocal orchestra, sprawled and elaborately building, with the word, ‘Honeybee.’ Byrne proclaims,“I’ll be all the medicine you need.” And as Rooms proceeds, we are sure of that very thing, for Byrne’s power lies in her unflustered rapport. We are like quick patients slowly falling in love with the balm of our caretaker. Byrne’s mere Rooms are entrances into an unruled pasture equally equipped for the rest of the weary and the untapped awakenings of the wanderer. While “Piano Music” sends us searching, “Emeralds” leads us home. It’s a complex print that Byrne has put her finger on, a combination between longing and finding, and it is all her own. We get the sense that Byrne is telling these stories as she goes, which needle-laces Rooms With Walls And Windows with a ripe sincerity. They are songs undone and finished all at once. We are not the only active listener; Byrne is too, even as she sings, she is sensing, understanding, present. And it’s her adherence to the beauty and sadness of such raw intimacy, whether strummed or sung, that keeps us there. “Vertical Ray” echoes with weary-hearted grandeur. Byrne’s timbre spreads into an expansive lull, like a forest of trees falling one at a time. With “Keep On Raging,” Byrne steps knowingly, deliberating the stranded sound of a desolate ocean being reminded of its strength, a sort of primal lullaby for the battled.